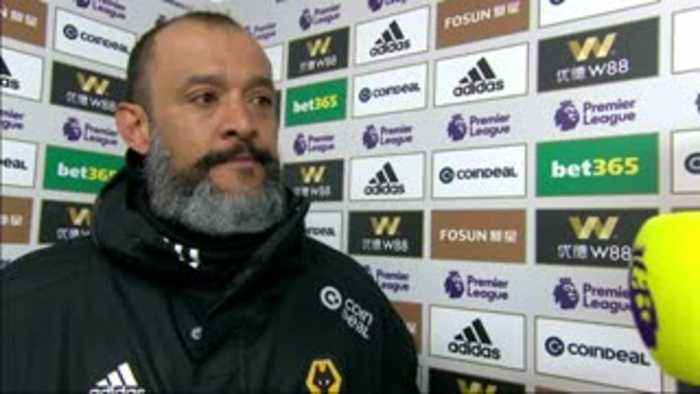 One News Page > News Videos > Nuno: All our goals are beautiful! Nuno: All our goals are beautiful! Nuno Espirito Santo jokingly says all their goals are beautiful after Diogo Jota's sensational opener against Cardiff.